The approval rating of Pope Francis declined all over Europe during the course of 2018, a new analysis observed Wednesday, in large part because of his ever-less popular pro-immigration stance and other globalist positions. David Wood and Robert Spencer went live to discuss some absurd claims about Islam interacting peacefully with non-Islamic religions throughout its history. January 11, 2018 (Turning Point Project) – Two young Scandinavian women who were hiking in the Atlas Mountains in Morocco were found dead in mid-December in their tent. The ISIS terrorists later posted a video of themselves decapitating one of the victims. In short, Pope Francis has acted as an advocate for Islam. He has portrayed it as a religion of peace, the moral equivalent of Catholicism, and a force for good. A number of people, however, now feel that the pope has seriously misled Christians about the nature and goals of Islam and Islamic immigration. Like the teachers and other cultural elites who left the two Scandinavian women “ill-informed about a threat that they actually did end up facing,” Pope Francis, by whitewashing Islam, has left millions of Christians unprepared for the escalating threat that is now facing them. The analogy between the misinformed Scandinavian friends and misinformed Europeans breaks down in one respect: No one forced the young women to travel to Morocco. They went there of their own accord. It’s one thing to invite yourself into the high mountains of Morocco and take your chances, but it’s quite another thing altogether to invite Morocco into Europe and let ordinary Europeans bear the consequences. This is what the European elites – with much encouragement from Francis – have done. 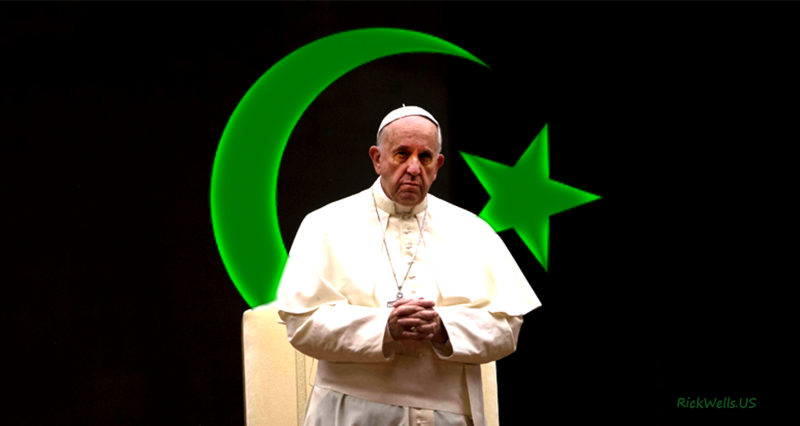 Is Francis Naïve about Islam? But why? Why risk the damage to the Church that would surely follow on the Islamization of Europe? Doesn’t Francis care about the Church? Increasingly, it seems that he does not. This is to say that he doesn’t have much use for the “old” Church – the one that was handed down by the apostles, and which has now become too narrow and tradition-bound to suit his liberal tastes. What he does care about is the new Church of the future – a Church of openness, inclusiveness, and fluidity. Led by the Spirit and free of bothersome dogma, this liberated Church would be able to adjust to the changing needs of the times. If one reads between the lines, this is what Francis and those around him seem to desire. The observation that many churches, which until a few years ago were necessary, are now no longer thus, due to a lack of faithful and clergy … should be welcomed in the Church not with anxiety, but as a sign of the times that invites us to reflection and requires us to adapt. One way to achieve this unity in diversity is by deemphasizing doctrine. Doctrinal differences are, after all, the main dividing line between different faiths. 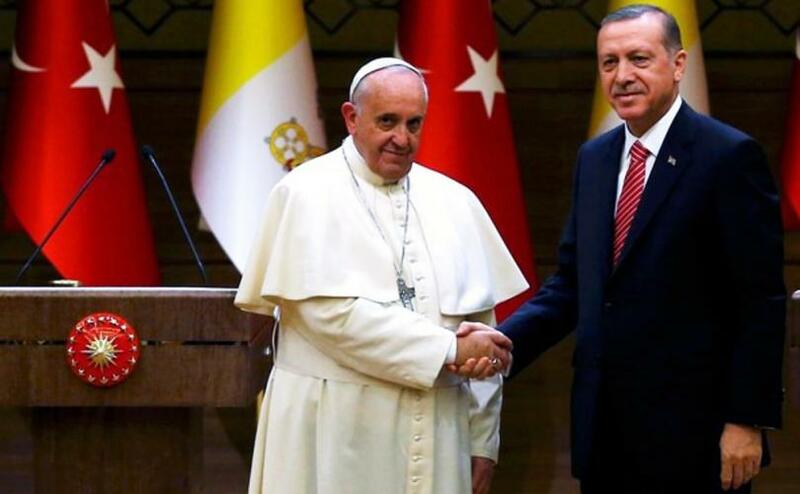 Thus, by downplaying the importance of doctrine – something he has done fairly consistently throughout his papacy – it’s probable that Francis hopes to smooth the path to interreligious harmony. Just as Francis disapproves of borders between nations, it’s quite likely that he looks upon borders between religions as artificial and unnecessarily divisive. If this is the case, then Pope Francis probably has no desire to convert the Muslims streaming into Europe. After all, like Evangelicals, Muslims can also “find Jesus in their community.” Of course, it’s not the same Jesus, but perhaps the resemblance is close enough for someone with scant interest in doctrinal differences. Exactly what, then, does he have in mind by encouraging mass migration into Europe? One possibility, as I suggested earlier, is that he envisions a kind of multicultural blending of religions. But in order for this to happen, it would be necessary for the respective faiths to dilute their doctrinal positions. Pope Francis seems quite willing to do this on the Catholic side. He has already made substantial concessions to the Chinese communist government on the appointment of bishops. He seems willing to alter Church teachings in order to build bridges with the LGBT “community” and other sexual revolutionaries. And, in general, he prefers to be guided by the prompting of the Spirit rather than by the teachings of the Church. But what about fundamentalist Muslims? A harmonious world religion dedicated to humanitarian ends would require not only a watering-down of Christianity, but also a considerable moderation of Islam. Both in terms of percentages and in absolute numbers, there are far more fundamentalist Muslims in the world than fundamentalist Christians. Francis has acknowledged the existence of fundamentalist Muslims, but he claims that they do not represent “authentic” Islam, and he seems to believe, contrary to much polling data, that they are only a small minority. “All religions have these little groups,” he once said. Sometimes self-fulfilling prophecies work and sometimes they don’t. A lot depends on the awareness of the subject. Young children are more susceptible to such influence, while adults who understand what is being attempted are less so. I recall reading an article on a radical Islamic website which accused Pope Francis of using just such a strategy. I don’t remember if the author used the term “self-fulfilling prophecy,” but he did complain that the pope was deliberately painting a false but pleasing picture of Islam in order to win Muslims over to a moderate view. In any event, the self-fulfilling prophecy strategy seems an awfully slender reed upon which to stake the future of the world. For decades now, global leaders have been assuring us that Islam means peace, that violence has nothing to do with Islam, and that the vast majority of Muslims are moderate. Yet most of the evidence suggests that the Western “prophecy” about Islam’s pacific nature is not working. With some notable exceptions, moderates have been losing ground, while fundamentalists are in the ascendancy. Just as he has little anxiety about the wave of church closings, Francis seems to have little anxiety about the Islamization of Europe. Indeed, as evidenced by his encouragement of mass migration, he seems to have no objection to Islamization. Whatever he has in mind, it seems that Pope Francis is betting against the odds. A few weeks ago, those two young Scandinavian women mentioned earlier took a similar gamble when they embarked on a camping trip in Morocco. They were betting their lives on the assumption that the whitewashed narrative of Islam that they had no doubt learned in school and university was the correct one. They lost the “bet.” They had – to borrow a line from Casablanca – been “misinformed” about the situation in Morocco. This article originally appeared in the December 31, 2018 edition of Crisis. It is published here with permission from the Turning Point Project.